CPS of Bradford on Avon opened in 1998 and quickly established a reputation for providing a reliable service at realistic prices. 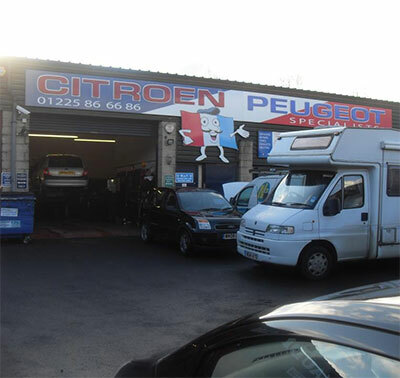 The owner, Steve McDougall, is a fully qualified Citroen mechanic who spent 10 years at a local Citroen main dealership before he went on to set up CPS. CPS started with one unit and one employee, and now employs 8 full time members of staff, and has expanded into 3 more units. CPS runs 9 ramps and has 11 courtesy vehicles, including cars and vans. As a family run business CPS is proud of the number of local families that see it as their garage of choice in Bradford-On-Avon. CPS has expanded to include a dedicated team of mechanics who are specialists in Citroen, Peugeot and Ford vehicles but with their extensive expertise can offer a wide range of services to accommodate all makes and models.